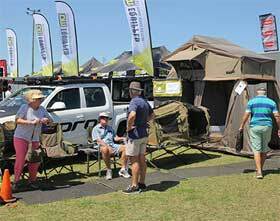 MORE than 160 exhibitors will be showcasing their products at the Queensland Caravan, Camping, Fishing and 4x4 Expo. 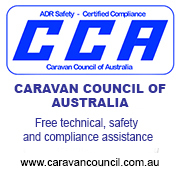 The three-day event beginning April 26 will be held at the Sunshine Coast Council's Nambour Showgrounds and will feature new cars and 4x4s, caravans, camper trailers, family vans and hybrid vans. There will also be camping, caravanning and off-road motoring accessories, fishing gear, jet skis, kayaks and paddle boards. A variety of entertainment will be on offer and prizes will be up for grabs. Division 10 Councilor Greg Rogerson said the expo was one of the region's major events. "This is a great opportunity for people to head to Nambour Showgrounds to talk one-on-one with a range of exhibitors displaying the latest products and services in one location," he said. "There is a great line up of entertainment including the 4x4 off-road skills track shows, the popular Berkley Supertank Fishing Show and Kingbrown Camp Oven Kitchen cooking demonstrations to name a few. "Kids don't miss out with Luke's Reptile Kingdom venomous and reptile show where you can pat Cuddles, a 3m olive python and touch a giant monitor lizard. Kids can also enjoy free jumping castles. 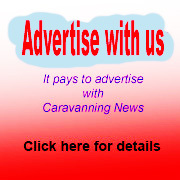 "If you are looking at upgrading or purchasing a new caravan, camper trailer, motorhome or just keen to take a look at all the new products, you just can't go past this popular expo." It is open from 8.30am-4pm on Friday April 26, 8.30am-5pm on Saturday April 27 and 8.30am to 4pm on Sunday, April 28. Admittance is $12 for adults, $10 for Seniors Card holders. Children 16 and under are free if accompanied by an adult. 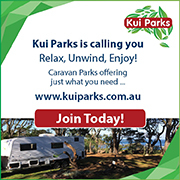 To avoid queues, tickets can be bought online via www.caravancampingexpo.com.au which also provides full details on entertainment, how to win prizes, how to get to the Nambour Showgrounds, parking and lots more.